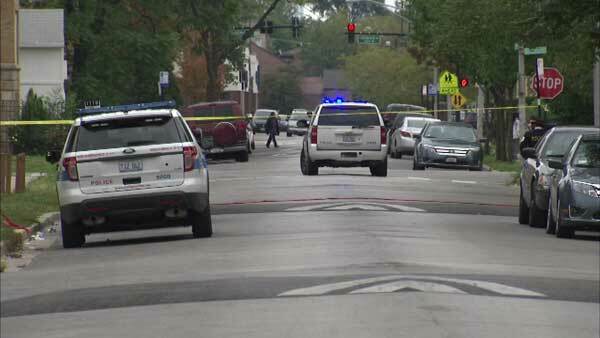 A 31-year-old man was shot and killed by police in Chicago's Homan Square neighborhood. CHICAGO (WLS) -- A 31-year-old man killed in a police-involved shooting in Chicago's Homan Square neighborhood was identified. The Cook County medical examiner's office said Jeffery McCallum, of the 3500-block of West Grenshaw Street, was shot by police and pronounced dead at 8:48 a.m. Sunday. Investigators said officers responded to reports of a man with a gun inside a home on the block where McCallum lived around 8:30 a.m. After the suspect refused to open the door, police said officers forced entry, fearing for the life of another person inside. Police said the officers saw a man with a handgun when they got inside and told him to drop the weapon. He allegedly charged at the officers with the gun pointed in their direction. The officers shot and killed the man, investigators said. Police said they found a woman with a gunshot wound and several stab wounds inside the home. She was taken to Mount Sinai Hospital, where she is listed in serious condition. No officers were injured in the shooting. The Independent Police Review Authority is investigating.